Condor Outdoor Products Inc. has over 20 years of experience in the tactical/outdoor gear industry; specializing in tactical gear including vests, plate carriers, modular pouches, and packs. They are a licensed Multicam and A-TACS dealer. Condor Outdoor gear has become a staple in law enforcement, military, and airsoft industries given its quality and affordable price. More recently they have expanded to making more of their products in the USA and have added a tactical apparel line, offering technical performance jackets, base layers, and pants. 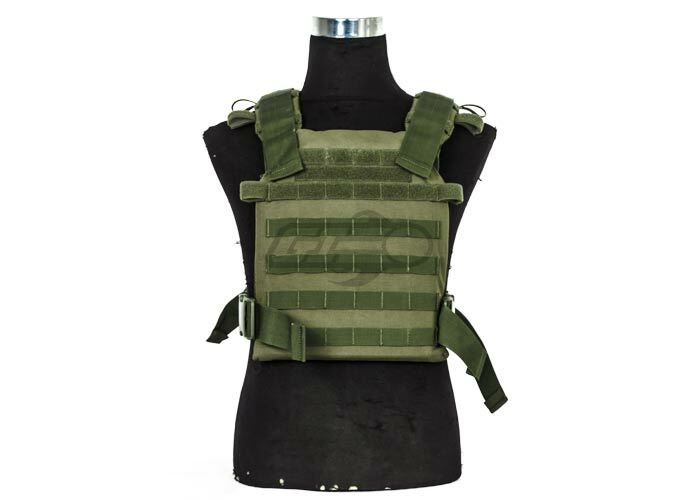 The Condor Outdoor Sentry Plate Carrier can accept medium sized SAPI plates. 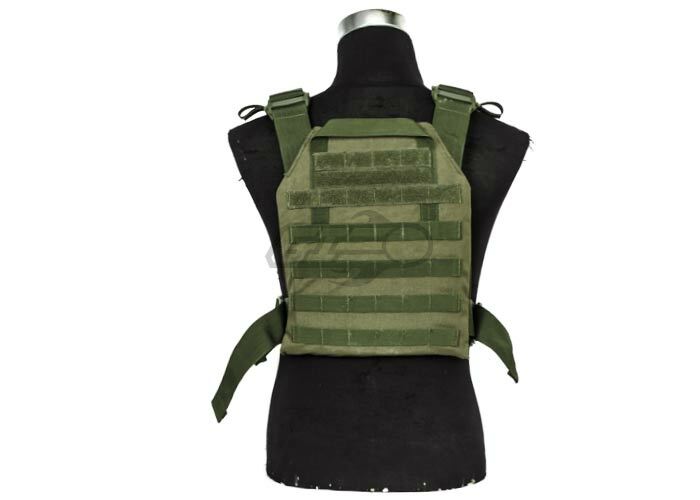 Constructed out of durable 600D nylon, this plate carrier has a low profile and ventilated design. 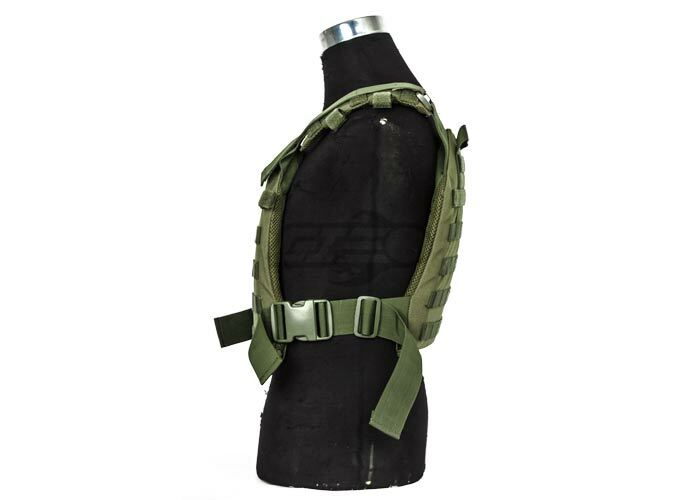 This plate carrier is adjustable for height via shoulder straps and girth via buckle side straps. The cummerbund-less design allows for easyy access to all belt mounted equipment. 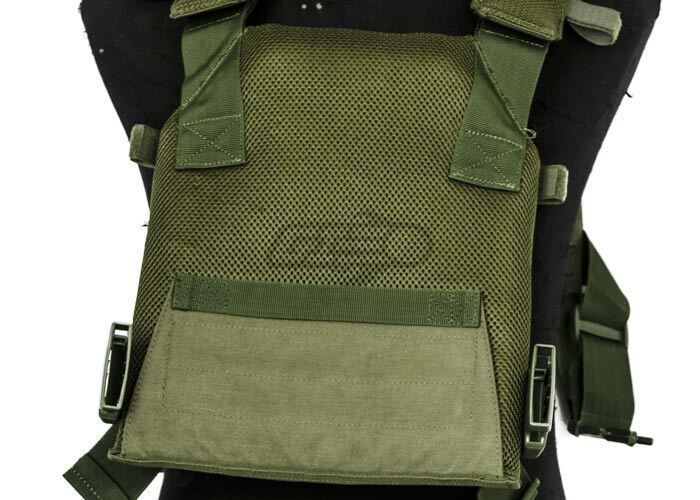 Additionally, the MOLLE webbing on the front and rear of the plate carrier will allow the user to mount magazine pouches, hydration carriers, and other necessities for the mission. 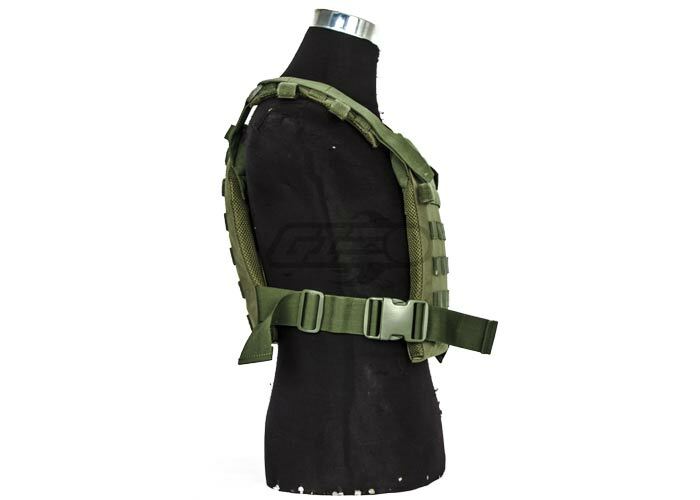 The upper portion of the plate carrier contains hook and loop velcro straps for patches, I.D. placards, IFF tapes, etc. Additionally, the back of the plate carrier contains a velcro loop on the left and right side to properly secure your hydration line. 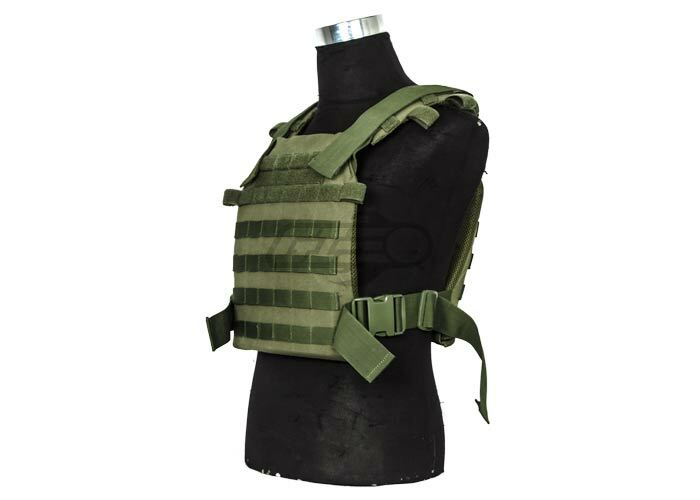 Great minimalist plate carrier. I was using a MOPC but, it's bulky and hot especially for So Cal field play. I used this recently at Code Red in Colton and it was 90+ degrees that day. It was light, easy to maneuver, and a whole lot cooler than my MOPC. Goes great with ATACS-FG. Does it come with plates or do you need to buy them? The product does not come with plates. Depending on the size of the pouch you could run 2 to 3 pouches. 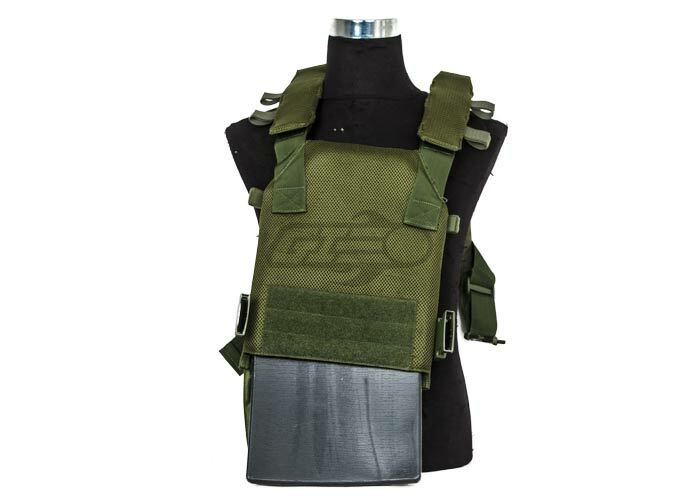 do you need the plate to put in this plate carrier? This product was added to our catalog on Friday 31 January, 2014.